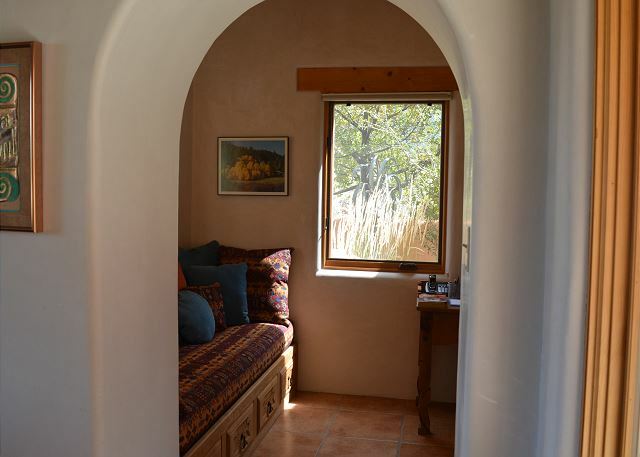 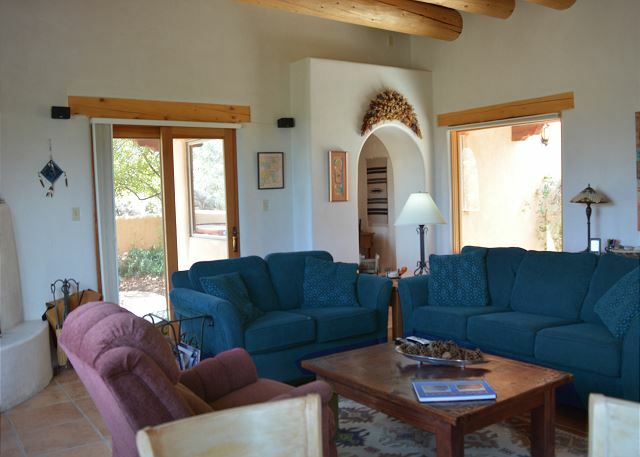 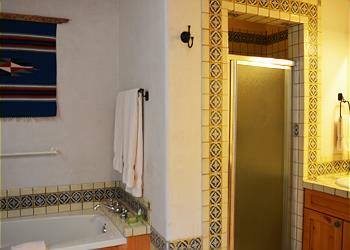 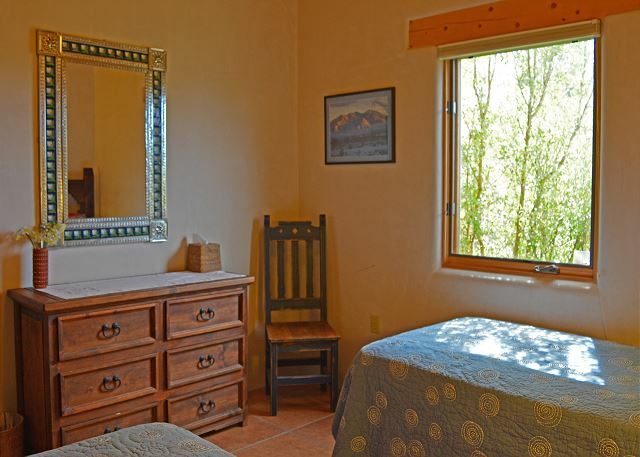 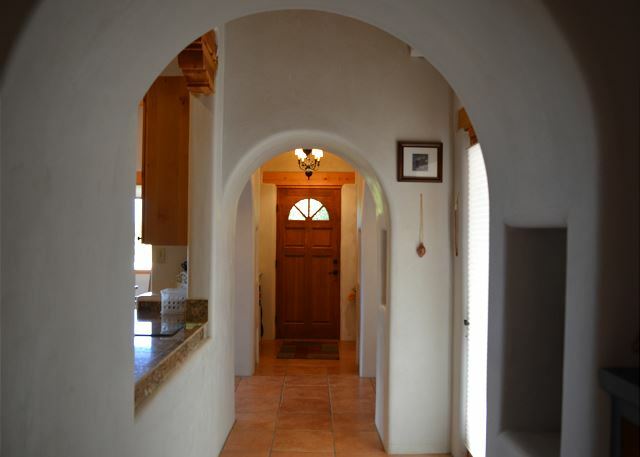 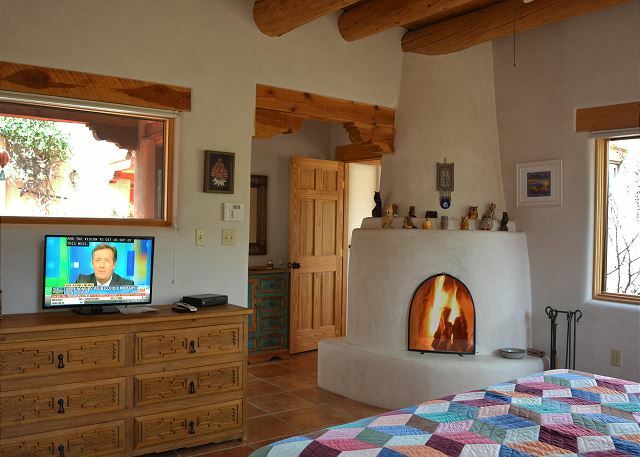 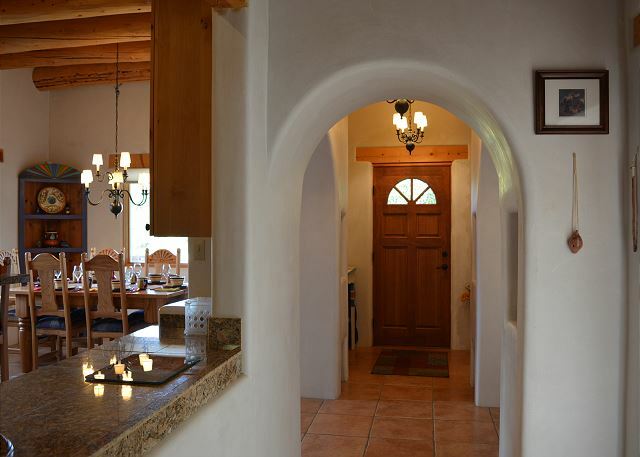 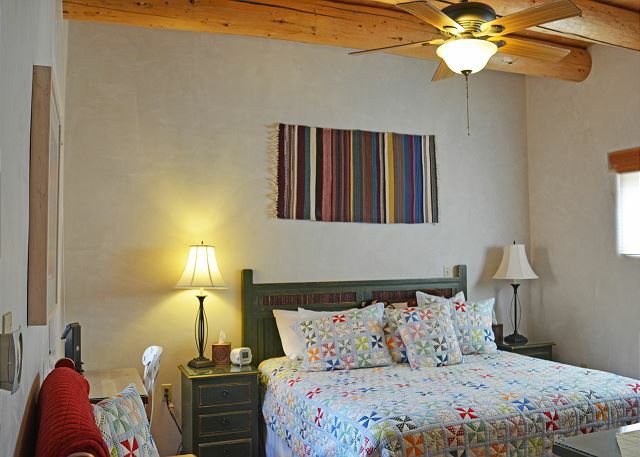 Located in the prestigious “Weimer” area of Taos, New Mexico, Hacienda LLRancho main house provides a bathroom for every bedroom! 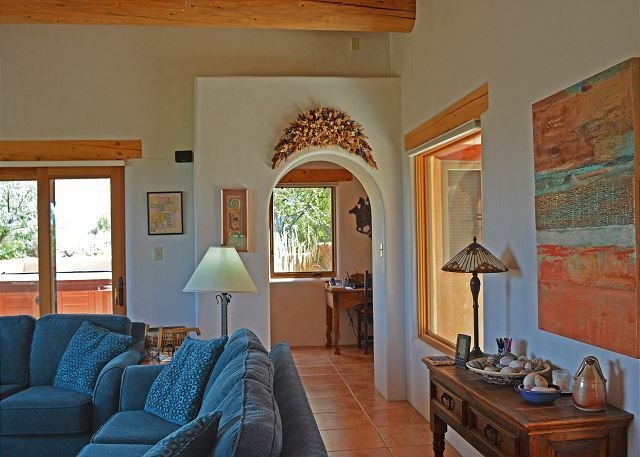 Extra high viga ceilings throughout offer an additional sense of grandeur and spaciousness to an already spacious floor plan. 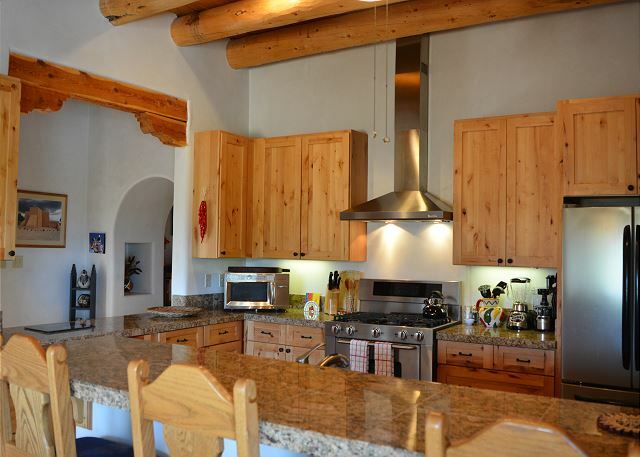 The extra-large gourmet kitchen / dining area provides a perfect gathering spot while the bedroom separation offers peaceful, quiet privacy. A soak in the hot tub after a day of vacationing is the perfect end to a wonderful day. 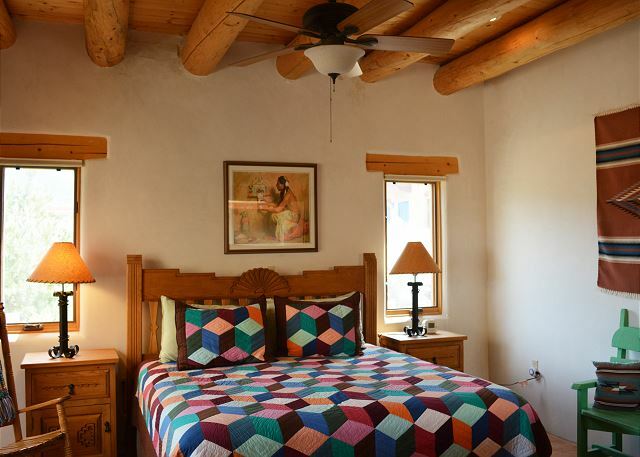 Taos, known for its dark skies (due to the lack of bright city lights) enables stargazing like most folks have never imagined or experienced. 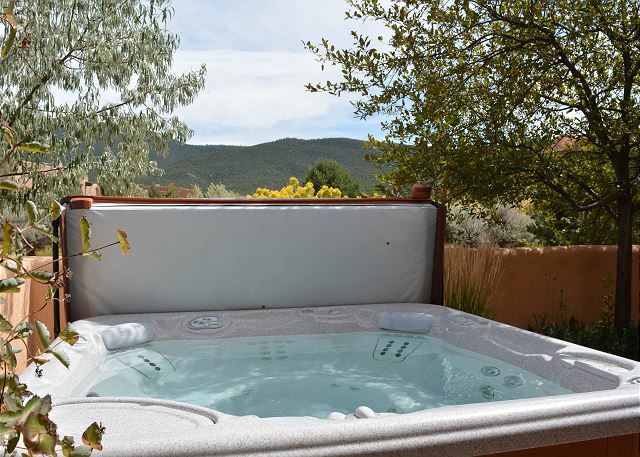 Stargazing from the hot tub enhances an already magical experience. 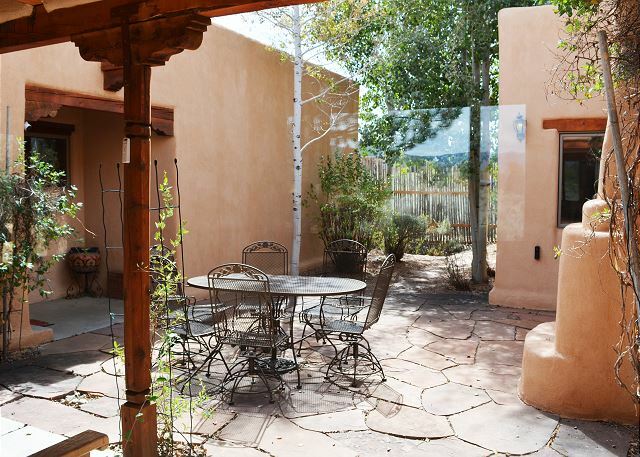 The very private enclosed courtyard with outdoor kiva fireplace is a popular outdoor gathering option almost all year long. 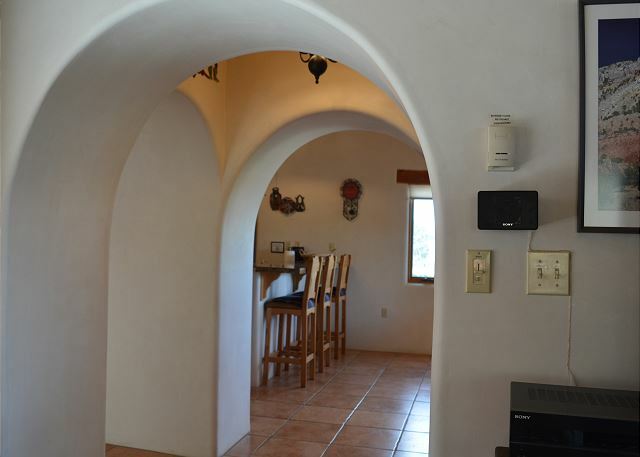 Also available is a 2 car heated garage. 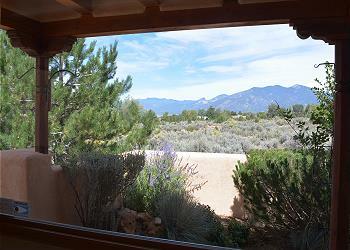 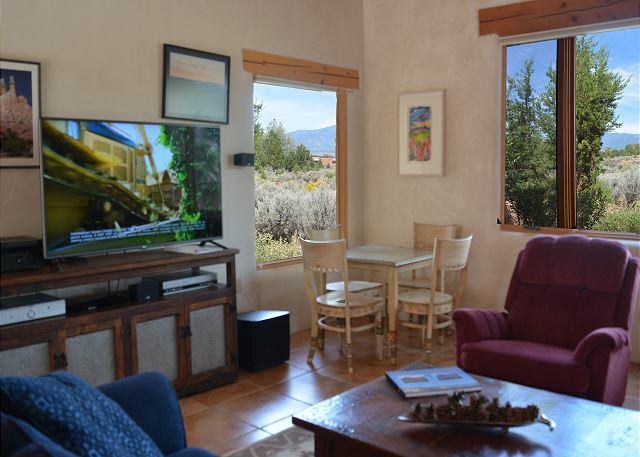 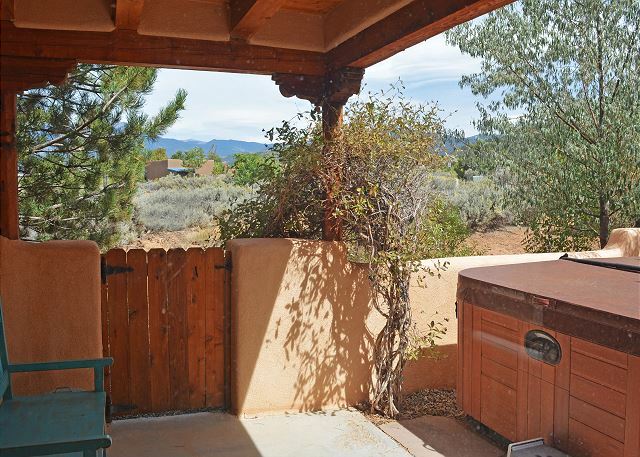 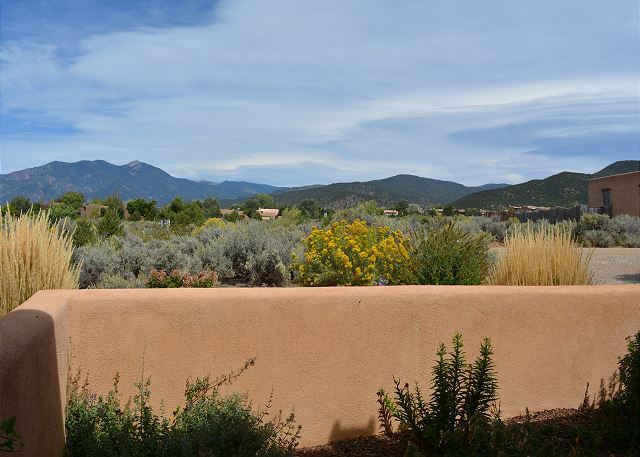 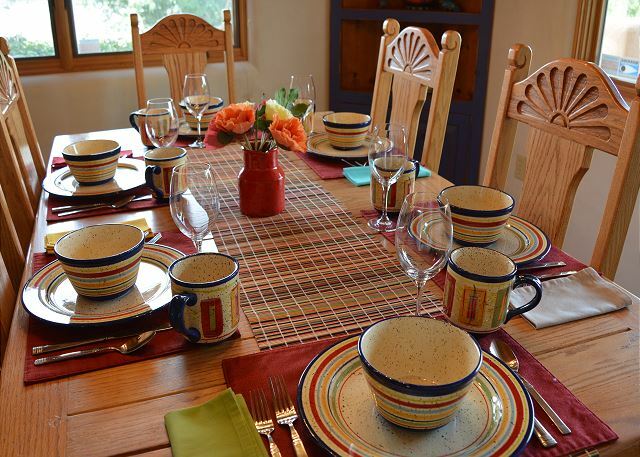 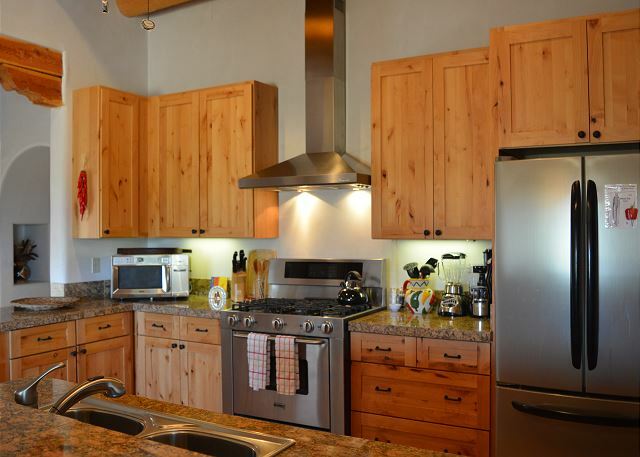 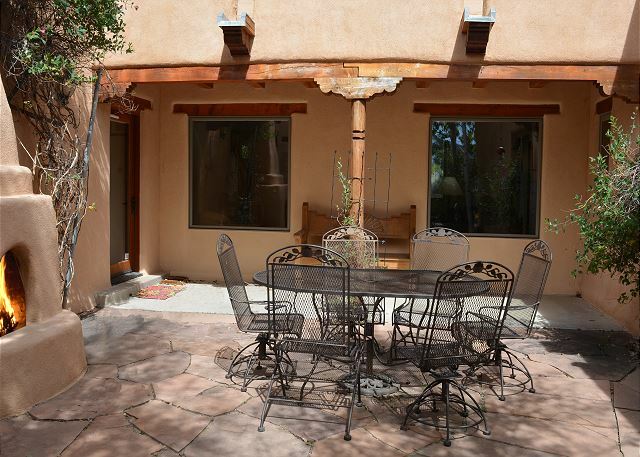 Located 4 miles south of Taos plaza with great highway / road options enables easy access to all sites, activities and events continually taking place in Taos. 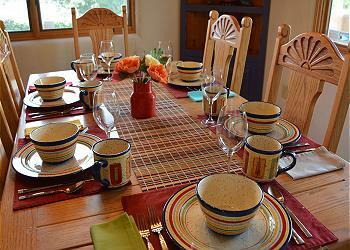 Great vacations start with great lodging, and that’s our job! 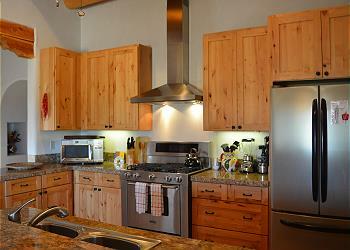 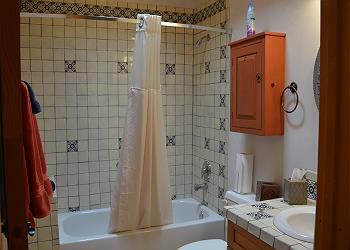 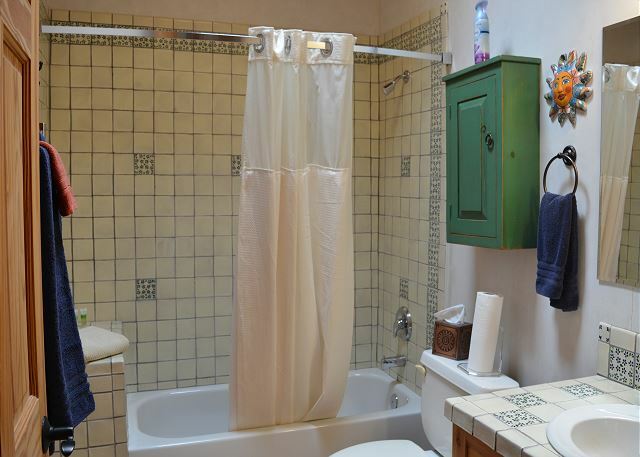 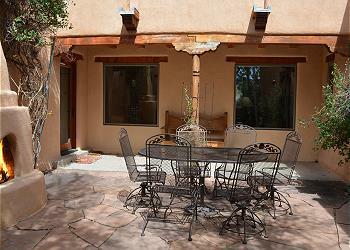 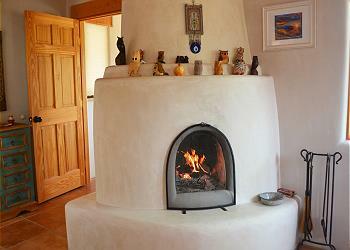 Room Description: Sleeps 6 in 3 Bedrooms: King master Bedroom with Jet Tub and walk-in shower. Bedroom 2 King with Tub/shower combo. Bedroom 3 has 2 twins with tub/shower combo.